Ray gets a call from the hospital – a woman is in a coma after getting attacked by someone, and there’s bleeding near her brain stem. 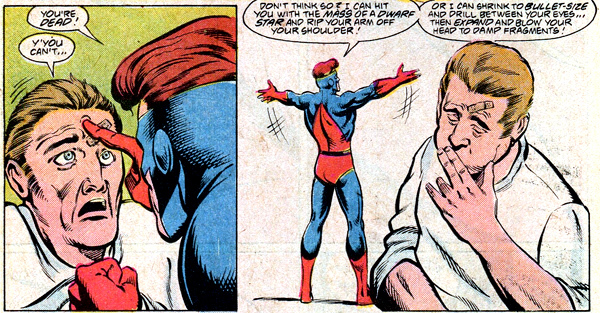 Ray (as the Atom) shrinks down and gets into the woman’s body to suture her internal injury. Meanwhile, the woman is left alone and a bad man named Strobe, disguised as a hospital orderly, gets in the room. He’s just about to kill her when Atom returns to normal size. 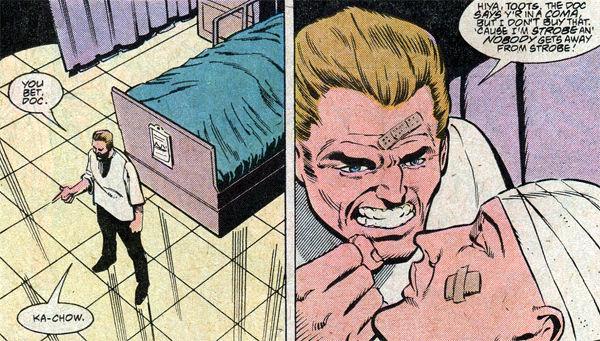 He threatens Strobe by telling him all the crazy stuff he can do with his powers to hurt him; Strobe faints. In the final scene, Ray goes to Norman’s publishing party with Jean. 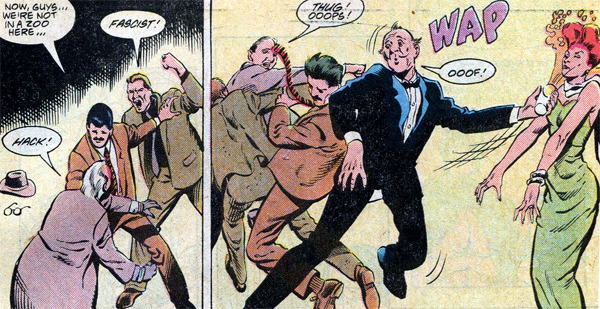 A brawl breaks out and Ray feels it’s his responsibility to break it up…until Jean tells him to relax and has some fun, and he backs down and has a drink. It feels like this issue is between story arcs, considering it’s winding down the jungle storyline, while setting up something new with Strobe and why he targeted that woman (or maybe they’re connected, somehow). I like the focus on character development, showing how Ray’s dealing with stuff and the relationships with the people in his life, mixed in with moments of levity. The highlight of the issue was seeing the Atom use his powers for practical purposes by stopping the woman’s internal bleeding. I feel we don’t see enough of this type of stuff in comics. 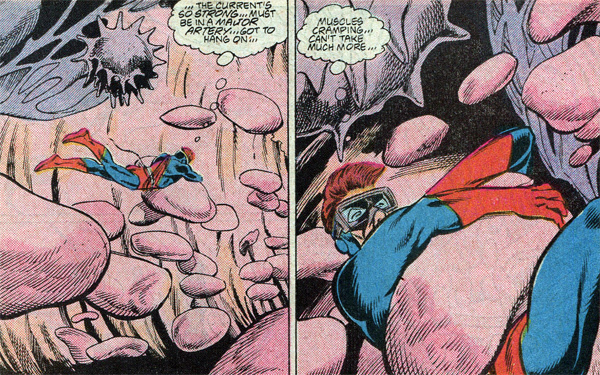 Or at least people with Atom’s powers because I know we’ve seen Superman help with construction work a million times. DC Challenge #7: Don't Bogart That Grape...Hand Me the Gas Pump!